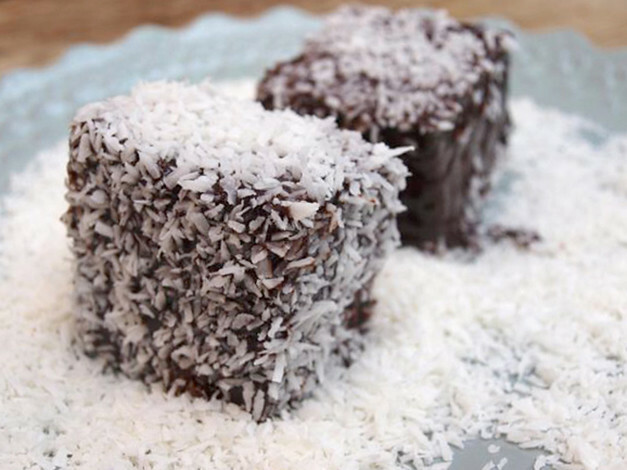 But, for the antipodean abroad who doesn’t quite care for Fosters, Australia Day is officially LAMINGTON DAY, when one may eat as many chocolate-dipped, coconut-rolled cakes as physically possible – it’s a show of national pride. 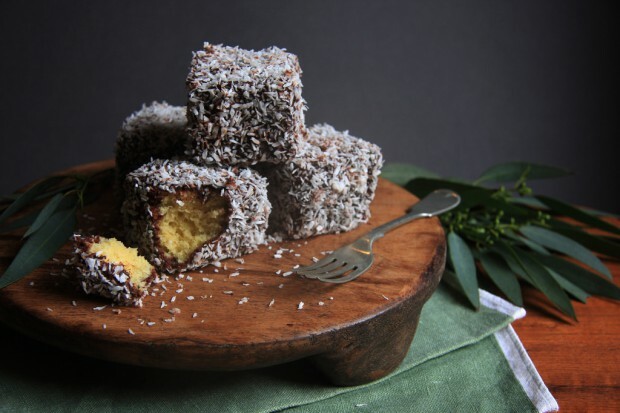 I’ve made my lamingtons with a simple sponge recipe, and without jam. Feel free to halve your sponge and add liberal dollops of raspberry or strawberry sweet stuff. It WILL get messy. I’ve also followed Dan Lepard’s lead and enriched my chocolate sauce with melted dark chocolate. Fancy. 1. Preheat the oven to 180°C. Line a square or rectangular baking tin with baking parchment and grease and flour the sides. 2. Use an electric beater to cream the butter and sugar until light and fluffy. 3. Add the eggs, one a time, making sure each one is well incorporated into the mixture before adding the next. 4. Stir in the vanilla extract and sift in the flour. Gently fold the flour into the mixture and pour it into the prepared tin. Use a spatula to level the cake batter. 5. Bake for 20 minutes until golden brown. 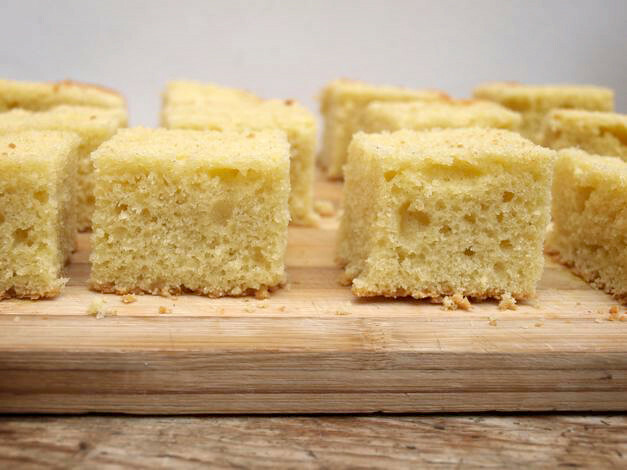 Test the cake with a skewer – if it comes out clean, the sponge is ready. If not, return the sponge to the oven and check again after 5 minutes. 6. Transfer the sponge to a wire rack and allow to cool. Once cool, use a serrated knife to level the top of the sponge and trim the edges. Slice into 12 small squares. 7. 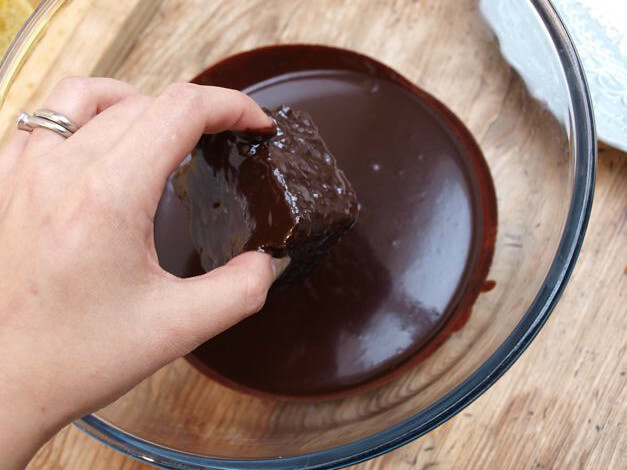 To make your chocolate sauce, break the chocolate into small pieces. 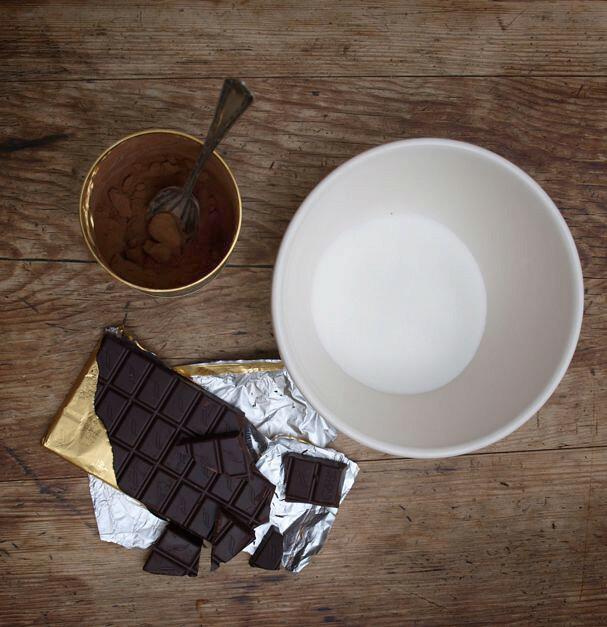 Place the cocoa, sugar and milk in a saucepan and whisk to combine. Bring to the boil, then remove from the heat. Add the chocolate and stir until melted. Allow to cool, then transfer to a deep bowl. 8. 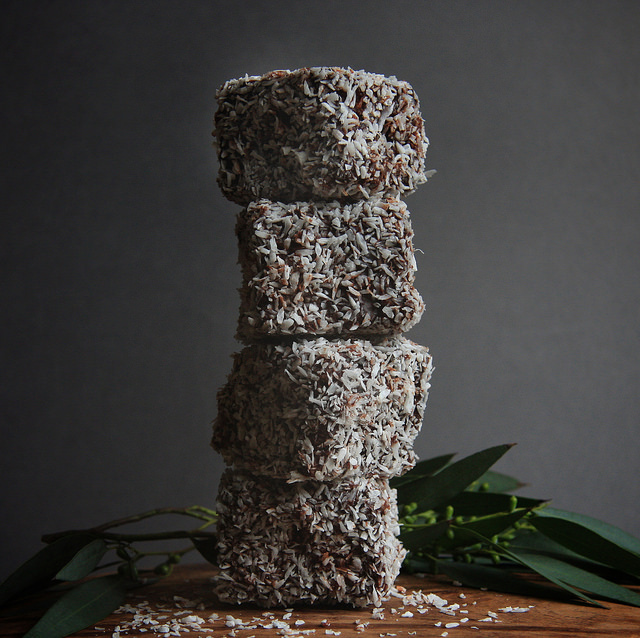 Scatter a thick layer of desiccated coconut on a large plate and have it ready, next to your bowl of chocolate sauce. 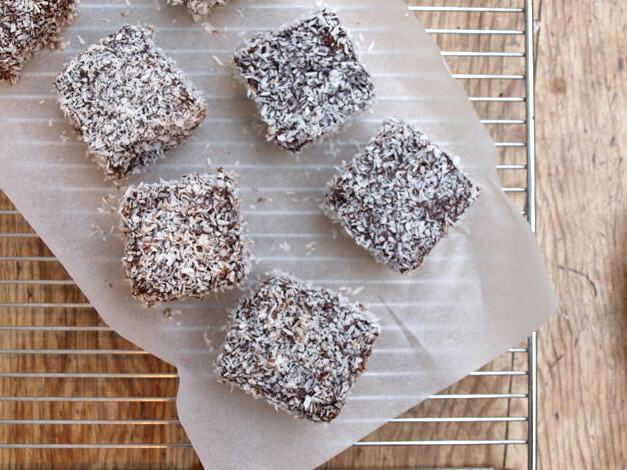 Line a tray with baking parchment for your completed lamingtons. 9. Working quickly, dip a slice of sponge in the chocolate sauce, coating all sides, and roll it in the desiccated coconut to coat. Transfer to the prepared tray. Repeat with remaining slices of sponge and allow the chocolate to set before scoffing them all. HACKY MONDAYS - RUN OUT OF BREAST PADS? Selina Altomonte is an editor and word nerd. 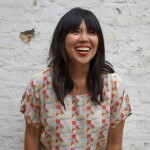 A Sydneysider who fell in love with London, she currently lives in Singapore where she’s the editor of www.honeykidsasia.com. A mum of two, she spends far too much time thinking about what to cook, and eat, next (like a chess master, always two meals ahead). She’s been known to hoard vintage kitchenalia and shoes, but still can’t walk in heels: but she’s barely 5”, so isn’t fooling anyone.